Tony Molinaro, President of Allen & Shariff Engineering, has been selected to participate in the NREL 2014 Executive Energy Leadership Program. The Leadership Program is a traditional, comprehensive program designed for executives with an interest in an in-depth exploration of renewable energy and energy efficiency technologies, applications, and issues. This full program requires travel to Golden, Colorado, and attendance once a month for five months. Heather Stapel has been accepted into the NREL 2014 Executive Energy Leadership Institute. The Leadership Institute is a shorter, condensed workshop-style program designed for executives interested in a primer on renewable energy and energy efficiency technologies. 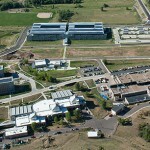 At the National Renewable Energy Laboratory (NREL), we focus on creative answers to today’s energy challenges. From fundamental science and energy analysis to validating new products for the commercial market, NREL researchers are dedicated to transforming the way the world uses energy. With more than 35 years of successful innovation in energy efficiency and renewable energy, today our discoveries provide sustainable alternatives for powering our homes, businesses, and our transportation system.